Prince William's Girlfriend to Move to NYC? Kate Middleton may be eyeing a fashion gig in our fair city - thanks to Anna Wintour! 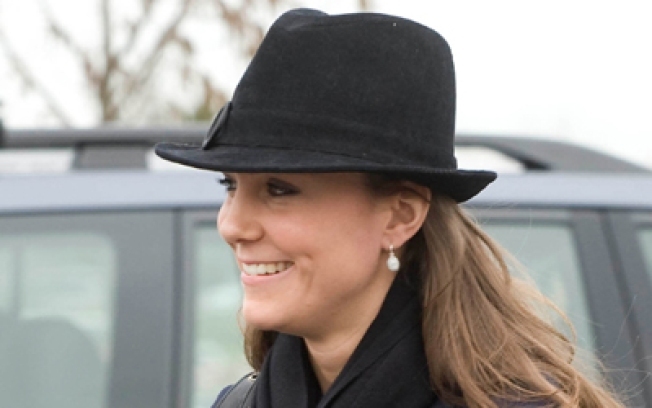 Kate Middleton, girlfriend of Prince William, may soon move to New York City to work at a fashion house. According to the Daily Express,Kate Middleton -- Prince William's on-again, off-again, get-engaged-already-we've-already-printed-the-bloody-commemorative-plates girlfriend -- is rumored to be considering a move to U.S. Apparently, Middleton's been in talks with Vogue's embattled editor-in-chief Anna Wintour as well as designer Tom Ford to spend a sabbatical in New York City and intern at a major fashion house -- you know, while she's twiddling her thumbs waiting for William to wrap up his helicopter pilot training with the Royal Air Force and start thinking about china registries. So many questions! Which neighborhood will she choose to live in? (Maybe Barbara Bush Jr. can show her around the West Village.) Will she become a regular at the Waverly Inn? Will she be BFFs with soon-to-be-back-in-NYC Katie Holmes?